Sands Media Services: Can you handle the heat of the newsquiz? Can you handle the heat of the newsquiz? 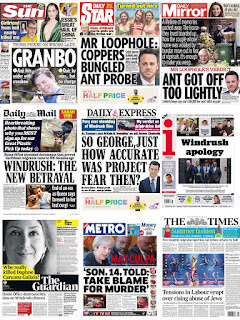 Last week's newsquiz was seen as a tough one by most online players. That didn't stop Liz Gerard scoring a very healthy 19 though. The top team, led by Heather Clifton, scored 17. Here's this week's quiz. As usual 25 questions about the week's events. Give it a go and let me know how you get on. 1. Former head of the civil service Lord Kerslake called for an investigation into who authorised the destruction of thousands of what? 2. Theresa May apologised to the Windrush immigrants threatened with deportation. 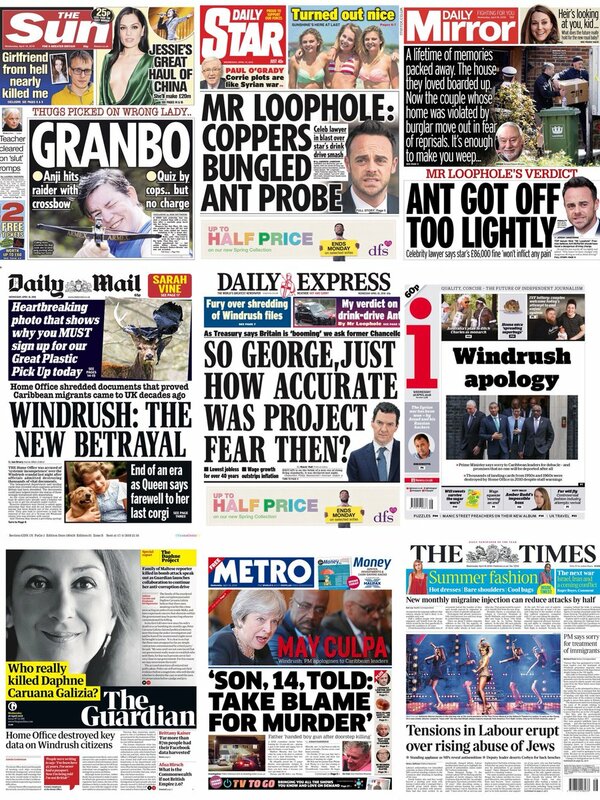 Why are they called Windrush immigrants? 3. According to senior EU diplomatic sources what was subjected to a 'systematic and forensic annihilation' this week? 4. The Pentagon said that US-led coalition unleashed how many cruise missiles on three Syrian chemical weapons centres? 5. In a special House of Commons debate which Labour MP said she had been told: 'Hang yourself you vile treacherous Zionist Tory filth'? 6. Former FBI director James Comey said of US president Donald Trump: 'I don't think he's medically unfit to be President. I think he's ____ unfit to be President.' What is the missing word? 7. Prime Minister Theresa May, in a continuing purge on plastics, said she had put forward ambitious plans to further reduce waste from plastic straws, stirrers and what other item? 8. The Queen opened the Commonwealth Heads of Government Meeting at Buckingham Palace after which singer sang the National Anthem? 9. The Parliamentary Standards Commissioner is investigating Health Secretary Jeremy Hunt's failure to declare his stake in a firm which bought seven luxury flats in which town? 10. Arsène Wenger announced he is leaving Arsenal, ending his reign as the Premier League’s longest-serving manager. What year did he join the club? 11. Why was Tammie Jo Shults in the headlines? 12. Her maiden name was Pierce, her codename was Tranquility and her family called her The Enforcer. Who was she? 13. How much was television presenter Ant McPartlin fined at Wimbledon Magistrates Court after admitting drink-driving? 14. Which football team, that carries the slogan The Club That Wouldn’t Die, celebrated promotion and the highest position in its history? 15. Dale Winton, who died aged 62, was mainly known as a television and radio presenter but he also played a game show host in which film in the 90s? 16. The pound fell against the euro and dollar on Thursday after the Governor of the Bank of England, Mark Carney, indicated that what might not happen in May? 17. What is the name of the BBC reporter who, when asked if he wanted to make a personal apology to Sir Cliff Richard, told the High Court he was sorry the star 'went through such a difficult time’? 18. King Mswati III of Swaziland announced that he was renaming the country and it is now called the Kingdom of what? 19. Which company has shut down all its social media - Twitter, Facebook and Instagram - because it had 'become a waste of time’? 20. Australia topped the Commonwealth Games with 198 medals, England were second with 136 and which country came third with 66? 21. Who announced that his wife Natasha Shishmanian is expecting twins? 22. What was the name of the Queen's 14-year-old corgi who was put to sleep this week? 23. How did Helen Housby achieve glory? 24. Temperatures soared to 84.4F (29.1C) in St James’s Park, London, on Thursday making it officially the hottest UK April day since what year? 25. Asda apologised to Nottingham shopper Bobbie Gordon after charging her £930.11 for what?